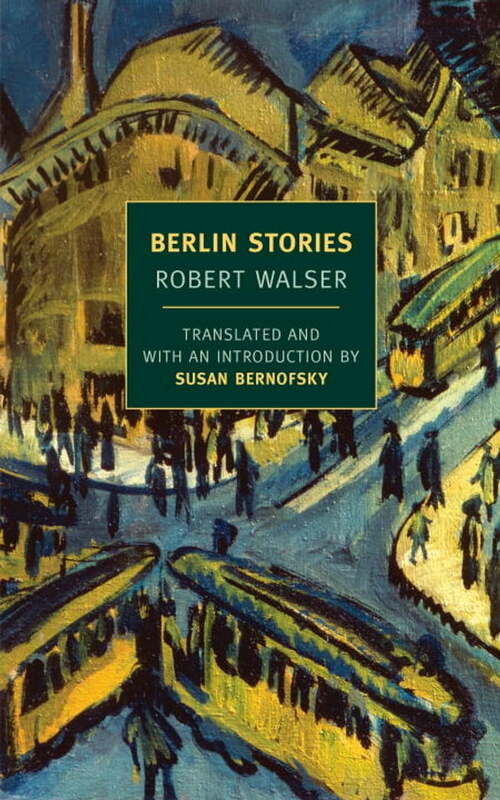 In 1905 the young Swiss writer Robert Walser arrived in Berlin to join his older brother Karl, already an important stage-set designer, and immediately threw himself into the vibrant social and cultural life of the city. Berlin Stories collects his alternately celebratory, droll, and satirical observations on every aspect of the bustling German capital, from its theaters, cabarets, painters’ galleries, and literary salons, to the metropolitan street, markets, the Tiergarten, rapid-service restaurants, and the electric tram. Originally appearing in literary magazines as well as the feuilleton sections of newspapers, the early stories are characterized by a joyous urgency and the generosity of an unconventional guide. Later pieces take the form of more personal reflections on the writing process, memories, and character studies. All are full of counter-intuitive images and vignettes of startling clarity, showcasing a unique talent for whom no detail was trivial, at grips with a city diving headlong into modernity.